Pub Runs are group runs organized to bring together the running community, and often so that we can offer you the opportunity to try the latest and greatest product from our major brands! Who can come to a pub run? Anyone interested in gathering with other individuals who enjoy walking and running! 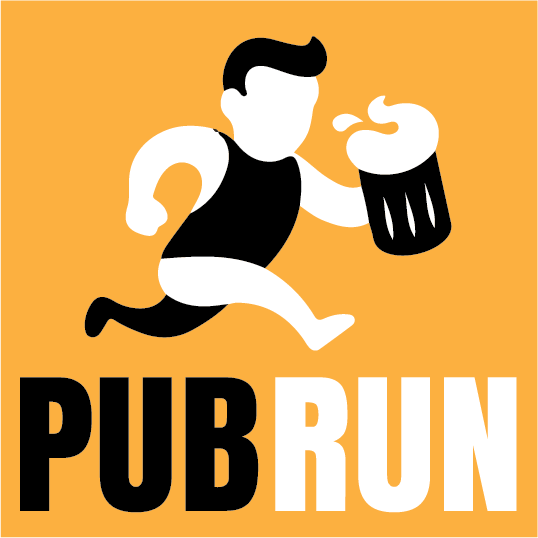 Where do pub runs take place, and when? We will meet at 6:00pm on various dates throughout the year. We meet at and run from local pubs, bars and restauraunts in our communities. What happens at a pub run? A casual run or walk (Typically with options between 3 to 6 miles) takes place, optional product testing, and camaraderie! How much does it cost to attend a pub run? This is a FREE event to attend and test product! I’m looking for more information on individual pub runs? Events will be posted on our Facebook event page as they approach! Appreciated, but not required. Let us know you are coming on the Facebook event, or by e-mailing us. Why should you come to a pub run?!? Occasionally a representative from our awesome brands – Try out NEW shoes and products! Meet others who enjoy running and walking! Find out more information and RSVP* on our Facebook Event Page!